The crew is on the ground in Los Angeles right now, getting as much sleep as they can before the craziest of all days for them begins later; conferences day. They’ll be off early in the morning to the Galen Centre to see Microsoft’s event, and then bounce around from venue to venue before finally crumpling in a heap back at their hotels in the wee hours of the morning. After which I expect them to get to work. The slackers. While the rest of were sleeping though, they met up with that guy who seems to have a camera attached to his head; Grant Hinds – where they chatted a little about the games they were excited to see, along with a shameless plug or two. 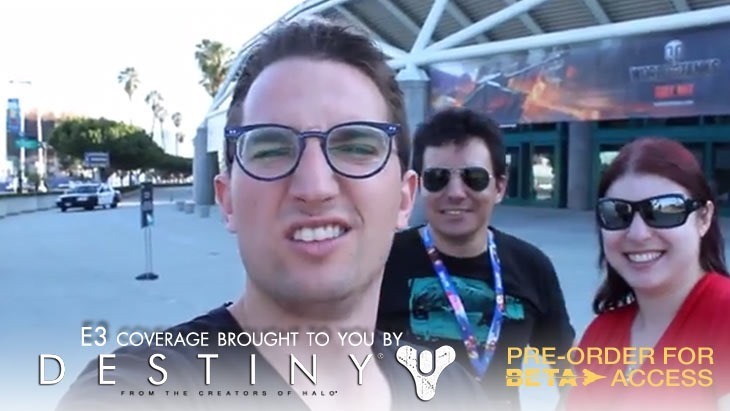 They’ll be meeting with Mr Hinds regularly, to bring you daily video updates of their misadventures at E3.